Have you Considered Using a Fulfillment Center Solution? Have you ever thought about using a fulfilment center with your ecommerce business? It definitely sounds like it would be a good way to free up some extra time, boost your sales and bottom line, ensure customer satisfaction, and reduce shipping costs doesn’t it? Well, before we get all into that, it’s worth taking a few steps back and understanding what fulfilment centers are and what they do. Of course, it’s also worth considering if your business really needs a fulfilment center to take care of warehousing and shipping for them. What are Fulfilment Centers, and Does Your Business Need One? A fulfilment center is the perfect solution for small-and-medium-sized ecommerce businesses that are interested in scaling, adding new products, boosting sales and keeping costs down while doing it all. The fulfilment center will manage all of your warehousing and shipping needs for you. They ensure that customers get the products they buy on time, giving you plenty of freedom to source some new products, increase your publicity, and do other things that tend to be forgotten because you wear yourself out trying to stay on top of shipping and get products out to customers. 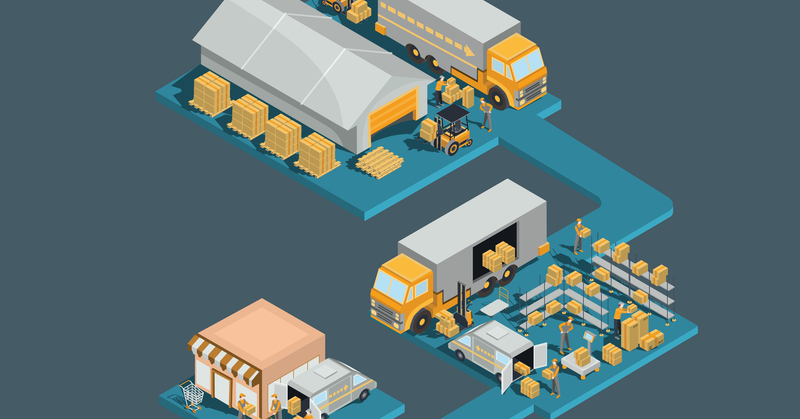 If you’re looking to scale your business through adding new products, but don’t have the physical space to do this (or the budge to acquire a physical warehouse or store) then a fulfilment center can be just what you need. They can give you the extra space that you need for those extra products at a reasonable price. Are you looking to further your reach and increase sales by targeting new markets? Let’s use Australia as an example here. If you wanted to expand into Australia, then having a fulfilment service located in the country is great for helping you do just that. They will handle all of the shipping and other regulations, allowing you to simply include a nice notification that you ship to Australia. It’s as simple as that. Does the thought of shipping and packaging make you want to find the deepest hole you can and just throw yourself into it? Do you find yourself making mistakes when sending out orders, and leaving customers unhappy in the process? You wouldn’t be the only business owner in that situation. Many product-based business owners much prefer sourcing new products, finding new products to sell, and strategizing how to scale or pitch them to the presses. Shipping though? Well, most of us could do without that. This is where a fulfilment center can step up and take away some of your workload so that you can focus on what it is you do best. You can rest comfortably knowing that the orders are going out as intended without you having to do anything or lose your mind over it all. When my t-shirt business was just a few years old, I received a massive order from Whole Foods. I had to spend about a week just packing up the order and shipping it out. I had no time at all to think about sales, marketing, customer service, or indeed anything else for that matter. That order was the sign that I had definitely outgrown my current system of having to pack and ship it all myself, and I knew it was time to consider outsourcing things to a fulfilment center. If only for my own sanity. What happens if you decide that the time has come to add some extra products to your business? Well, you have to bring in more hands to manage all the inventory management, packing, and shipping of those products. There’s more to it than that too. Let’s say that you wanted to rent out a warehouse of your own. Imagine how much that would cost you, especially during slow seasons when you won’t be making as much. Let’s be honest here; every business, no matter what they do or sell, will have slow seasons. Do you want to be paying for the rental, electricity, and other expenses associated with a warehouse that you aren’t using? I don’t think you do. You’d be crazy if you wanted to. Making use of fulfilment services allows you to get the space you need without all of the extra costs attached. There are even flexible payment options available if you need them. Join thousands of online sellers! Subscribe to our newsletter and get out best content delivered straight to your inbox. Awesome. We will keep you posted. Yikes! Something went wrong. Please try again. Outside of these more important details, I recommend that you dig a little deeper and find fulfilment houses that will cater to your niche and industry. Those fulfilment houses will understand the intricate nature of your industry and are sensitive to any special needs you might have. You might also want to find a solution that integrates your store to a fulfilment center, like Fetchy, which will make it all easier to manage. Can you integrate with my backorder system and offer real-time inventory updates? How soon will you ship orders out after receiving them? Could you provide me with three references from your current or past clients I can contact? What kinds of packaging do you use? Can you manage large orders? What is your minimum monthly fee? What are the monthly storage fees and are there any other fees? Do you have any shipping partners for reduced shipping costs? How do you handle the receiving process? How do you manage returns? How are packages branded when they are shipped? Can you manage international shipping? I would also recommend getting in touch with your fellow business owners and asking them if they have any recommendations for fulfilment centers. Perhaps they have used some in the past and they have a few they would be happy to recommend. This is something you can do after compiling a shortlist of different houses as a way to get feedback on them. Don’t forget that if you do start using a fulfilment center, then you are going to have to pay a fee for the orders that they send out as well as actual shipping costs. You may want to consider building this fee into the product price and passing the cost on to the consumer. People are willing to pay a little extra for products that are shipped from fulfilment centers because they know they will definitely get their products.